Home / Uncategorized / Happy December! We are in full blown holiday mode around here! 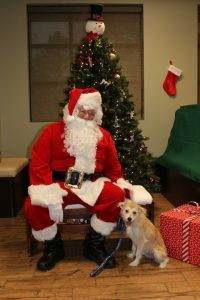 Even Bingo, the newest addition to our family, is excited about the big day! My cards and packages are in the mail, the house is decorated, and the packages are wrapped and waiting patiently underneath the tree. With all that behind me, I will have plenty of time to spend at the piano getting ready for several exciting concert events at the end of the month. But before I share all that with you, I want to say a big THANK YOU to all of you who listen to my music on Spotify and elsewhere. 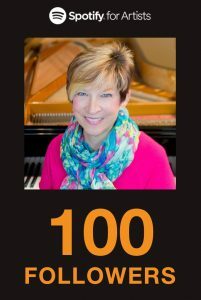 Thanks to your support, I have crossed the 100 followers mark on Spotify! Just a little more than a year into this new facet of my career, I couldn’t be more delighted! Also, three tracks from Thankful Heart, Joyful Mind are now streaming on Solo Piano Christmas. I hope you will give this festive station a listen as you go about your own holiday preparations! Now, about those concerts. 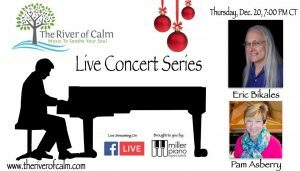 On Thursday, December 20th at 7PM Central Time the legendary Eric Bikales and I will play a FREE concert at Miller Piano Specialists in Franklin, Tennessee for The River of Calm. Even if you aren’t able attend in person, you are invited to join the live stream event on Facebook. Just click HERE to follow The River of Calm and join in on Thursday, December 20th at 7PM Central Time. Eric and I are very much looking forward to sharing our music with you; we even have a surprise or two up our sleeves! ‘Tis the season! 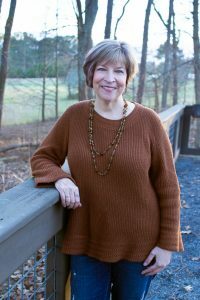 Then on Friday, December 21st at 7PM Central Time I will join Cathy Oakes in a wonderful night of holiday (and other) music, refreshments and holiday cheer at her beautiful home in Columbia, Tennessee. For more details, click HERE; to RSVP, just email Cathy at cathyroakes@hotmail.com. 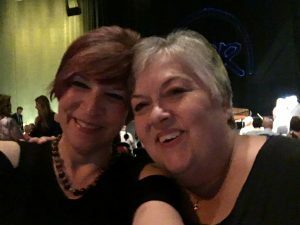 Cathy and me at the EPR Awards Concert, Gaylord Opryland Hotel, September 2017. Finally, on Saturday, December 22nd, all of us at Enlightened Piano Radio invite you to enjoy the upcoming December Holidays Edition release of our official playlist on Spotify. The current playlist will be replaced with holiday tracks and many of us (myself included!) will stream live videos directly from this event page, performing our compositions and arrangements for you to watch and listen. Click HERE for more information and to join the festivities! That’s it for now! As always, thank you for your loyalty and encouragement. It makes all the hard work SO worthwhile!